Designated Stretch: From Wikiup Dam to the Bend Urban Growth boundary at the southwest corner of Section 13, T18S, R11E. 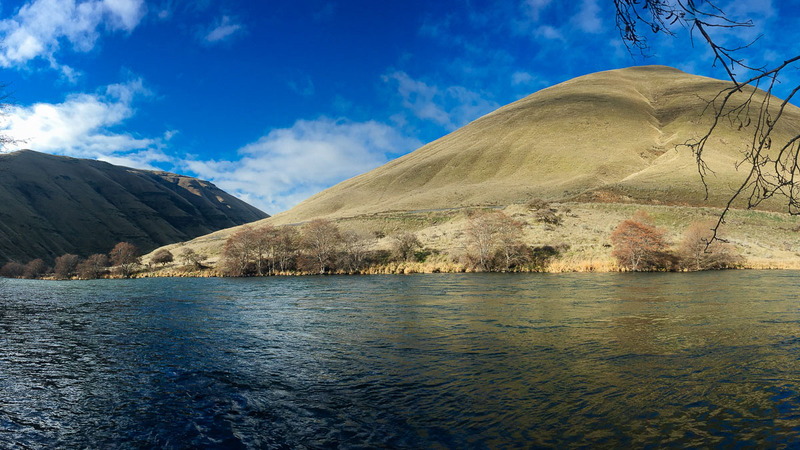 From Odin Falls to the upper end of Lake Billy Chinook. 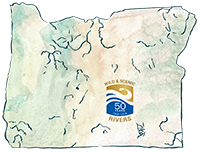 From the Pelton Reregulating Dam to the confluence with the Columbia River. 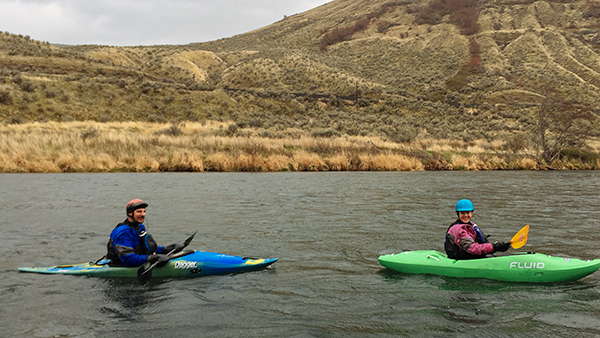 Celebrated by Emily and Chris Singletary on March 15, 2018 by paddling from Macks Canyon to the confluence of the Columbia River. 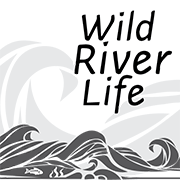 Emily Singletary: When my friend Dave invited his new girlfriend who has never been rafting to join him on a 21-day Grand Canyon trip, he though it’d be a good idea to have her experience at least one overnight river trip first. 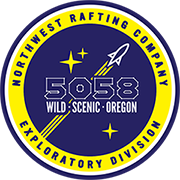 The Lower Deschutes is only 40 minutes from Hood River to the take-out, has plenty of nice campsites (many with toilets) and easy class II & III whitewater, so it was the obvious choice. With plenty of cold rain in the forecast he knew it may not be fun for her so he wanted to drag more friends along to make it more of a party. My husband and I gave a solid "no thanks" but when Dave showed up at our house full of excitement and pleading ("C’mon it'll be an adventure! Way more fun than staying dry and bored at home! "), we gave in. The headwinds at the put-in were strong enough to blow our kayaks upside-down while they were resting on the boat ramp. We had some laughs as we ran around chasing things like hats and a koozie that the wind was trying to steal. The first day was cold, wet, and windy, but we enjoyed the views of the beautiful Macks Canyon and the excitement of seeing a new river. The river has a big-water feel to it but day one is mostly fast-moving flatwater. We saw a Bald Eagle soaring above the river, a couple of herds of Big-Horned Sheep and Mule Deer on the slopes of the canyon, and a little furry critter on the banks that looked like a Mink. There aren’t many trees in this part of Oregon but we managed to find a lovely campsite with a little grove of small trees to hang tarps from for shelter from the rain. Spirits were high as we made a big fire (don’t forget your fire-pan), cooked a hot meal, and passed around some whiskey. Day two had several really fun, splashy class III rapids with big waves and big holes. The rains let up but the wind didn’t, especially as we neared the wind-tunnel of the Columbia River Gorge. We arrived at Heritage Landing, the take-out, tired but happy we had been able to experience this desert landscape. 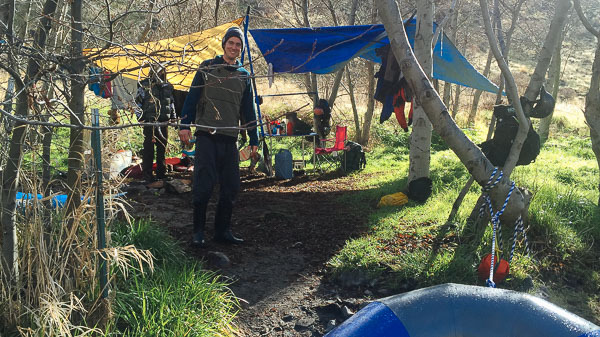 With multiple put-in options, fun, family-friendly rapids, sunny weather (usually), and beautiful camps, this will become an overnighter we repeat again and again.